Whoa! A Pivotal Piece of Fed Research? This guest commentary was written on Thursday by Mike O'Rourke of JonesTrading. Once in a while you come across a piece of Federal Reserve research that may be pivotal or groundbreaking. 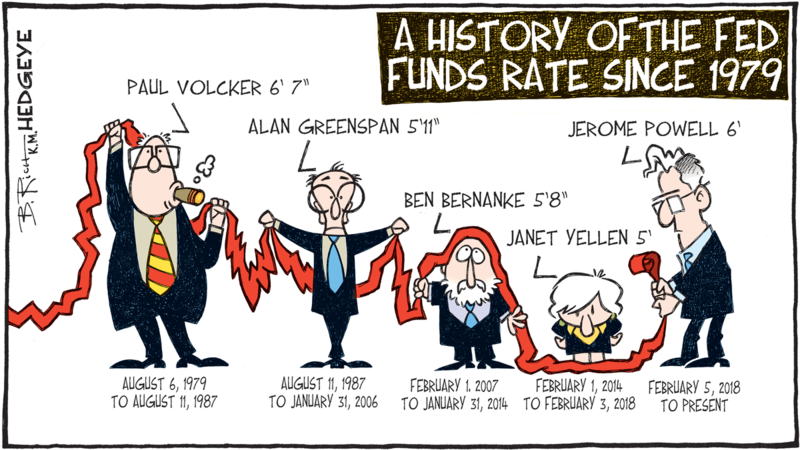 We believe the team at the Boston Federal Reserve has come up with such a piece of work. Boston Fed President Eric Rosengren presented the topic at the Brookings Conference today. The title of the 64 page research paper is “Should the Fed Regularly Evaluate its Monetary Policy Framework?” In short, Rosengren discusses that the Bank of Canada reviews its policy framework every 5 years in order to make sure it is applicable to the structure of the economy. Rosengren advocates that the Federal Reserve should employ a similar self-evaluation process, although over a longer time frame, but one it which an early review can be called. What makes the paper special is the manner in which the conclusion is drawn. The Boston Fed team briefly highlights the historic policy objective of the various major iterations of the Federal Reserve as policy morphed starting with the 1913 Fed that was created for stabilizing the Banking sector. Most importantly, a number of observations in the paper are applicable to the current state of the economy. On numerous occasions, we have argued that the problems the US economy has encountered during much of the recovery are structural ones, and that the FOMC was applying pre-2000 thinking to its policy approach. Thus, the indefinite unconventional accommodation was not the proper approach and the less success the Fed had, the more aggressive it became. An analogy for this approach would be using last year's flu vaccine for this year’s flu, even though the strains are likely very different. The Boston Fed paper talks about the 2012 adoption of the formal inflation target of 2%, and notes that a formal target was not given for the Unemployment Rate. At the time, the Fed’s longer run target for Unemployment was 5.2-6%. As the economy improved, its target moved. Today, the FOMC’s longer run target for Unemployment is 4.5%. To us, it appears there are now some at the Fed recognizing the misdiagnoses of the economy and the incorrect prescription. But it gets more interesting. The paper proceeds to note, “In other words, the recurrent pattern was one where the tightening of monetary policy was expected to slow the economy down gently from above-capacity to full employment. Ex-post, one might judge that monetary policy contributed to the unexpected recession, but this is not what the Federal Reserve Board staff was envisioning ex-ante.” It is important to remember that the current Unemployment Rate is more than half a percent below the FOMC’s longer run target. Think of all the times Fed officials asserted they would defend the 2% inflation target symmetrically from both above and below. First, that very well may be the wrong level, and second, maybe it was the Unemployment Rate they should have been targeting. The team at the Boston Fed is correct. The policy framework should be evaluated from time to time so that the medicine prescribed is appropriate for the illness and you don’t buy Trillions of Dollars of assets you don’t need. This is a Hedgeye Guest Contributor research note written by Mike O'Rourke, Chief Market Strategist of JonesTrading, where he advises institutional investors on market developments. He publishes "The Closing Print" on a daily basis in which his primary focus is identifying short term catalysts that drive daily trading activity while addressing how they fit into the “big picture.” This piece does not necessarily reflect the opinion of Hedgeye.